Meet my newest creation, Noof the crochet cow amigurumi. To some of you this may come as a surprise. I didn’t announce the cow pattern here with a sketch. 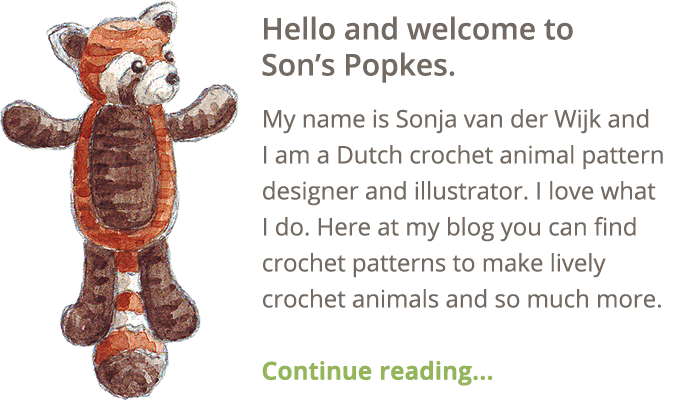 At Instagram I did post some sneak previews, but skipped the blogpost this time. No worries, there is a little drawing in the pattern. I seem to be into farm animals lately I suppose. After I made the pig and ram, my boyfriend suggested I had to make a cow now too. That sounded quite tempting so I started thinking about what kind of cow I should design. Most important, it had to look like a real cow, even if it would be made without spots. Secondly, I wanted it to have a rustic feel, so no bright white and black, but more textured colours. My crochet cow also needed little horns and an udder of course, how much fun would that be to crochet! Last but not least important, it needed to have the famous new hooves. So, I set down at my desk for many hours and came up with this rustic and realistic looking doll shaped cow and called her Noof. Just look at this slide of Noof’s sides, you can clearly see how all the spots are matched up to create a neat and realistic cow appearance. Noof is quite spotty isn’t she? I decided to place her spots delicately over her body to create the crochet pattern for a more complex looking cow. But, you can of course make a different sort of cow. A single coloured one or just place the spots somewhere else. Or you could make my pattern but rotate the body and limbs for a different look. It is completely up to you! Noof is made with Istex Lett Lopi, a 100% wool with a lot of fuzziness. She is sitting 6 inch/ 15 cm tall. 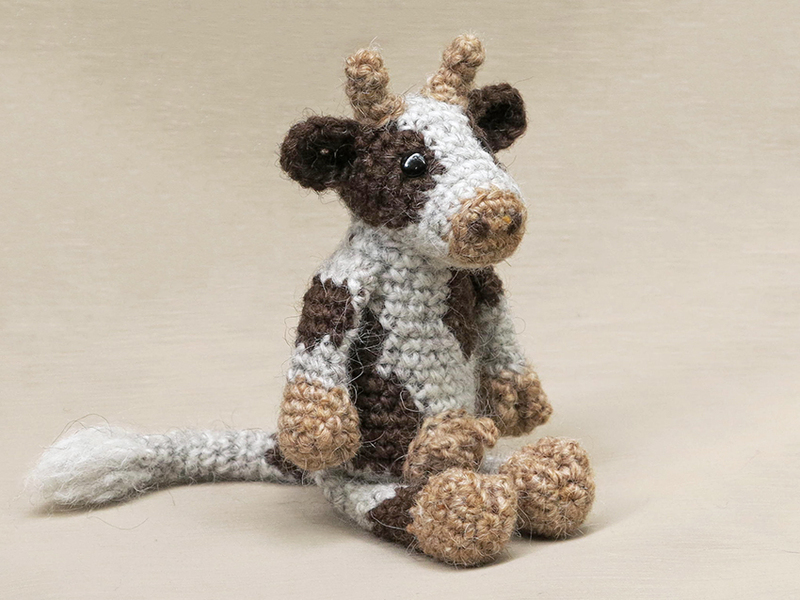 This crochet cow pattern contains a clear and colour coded description of how to crochet and assemble the cow, with extra illustrations and example pictures at the bottom to help you get everything right. 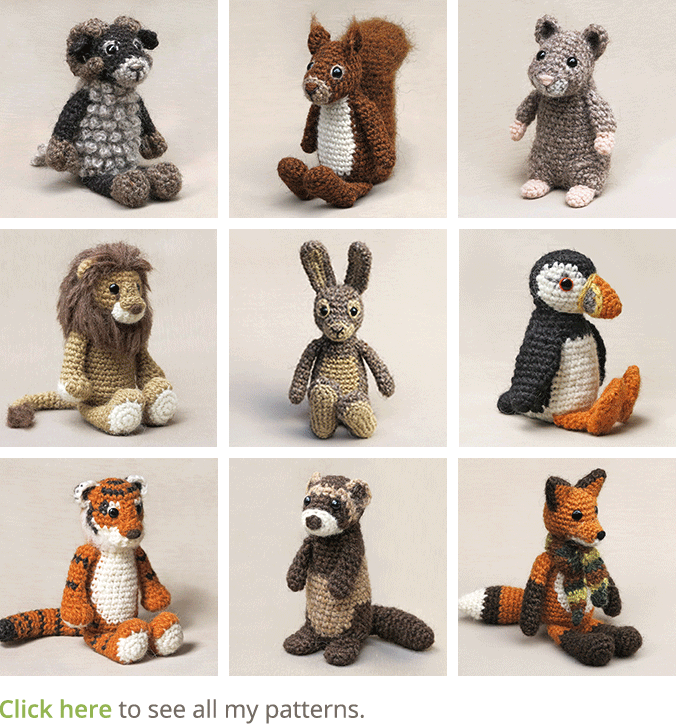 In the pattern you can also find what materials you need, the yarn colour numbers, in short, everything you need to know to make your own realistic looking cow doll. All the additional information you need to know about this pattern you can find in the shop listings. You can buy this pattern in my shop at Craftsy and in my shop at Ravelry or order it here. 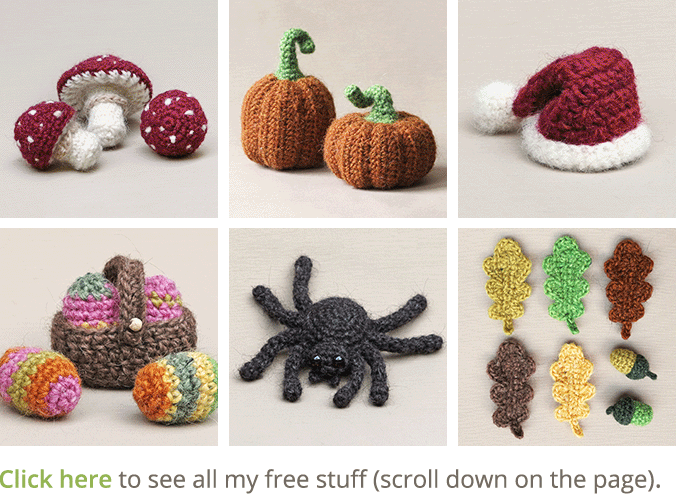 This pattern has a one dollar release discount till Thursday the 19th!